Welcome to the beginning of a series of intriguing stories following the adventures of two young brothers and their pets, Club and Diamond, along with their family and friends. 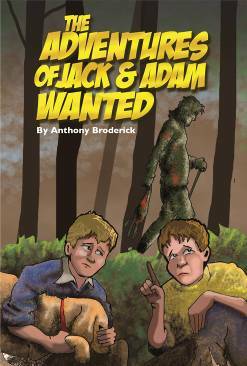 ‘Wanted’ introduces you to the brothers, Jack and Adam. Summer holidays are fast approaching, and with the holidays comes a sinister adventure into the strange world of a wayward scientist who inflicts his cruelty upon the most innocent inhabitants of Willows Town. 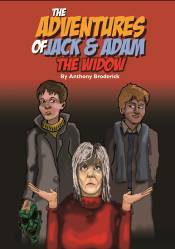 With a mixture of excitement and humour, Jack and Adam follow a summertime adventure, discovering that not all is as it should be in their neck of the woods. Anthony Broderick is a teacher from County Mayo and he loves creating worlds and imaginative characters to fit inside them, with stories and adventures which will provoke thought, show a wealth of determined refinement and demonstrate how not everything needs to be as it appears in the real world. there is a free ebook of the Larry Right Series—Episode 1—Larry’s Logs. Contact us at orders@choicepublishing.ie for free download.